Sometimes a gal just needs a home cooked meal. And thanks to my friend Ruth, I enjoyed a little taste of that when she whipped up a spicy treat of Chilli Crab and a Prawn Curry last night. Still working my way through the cheese accumulated from my European trip, I brought along a Gouda from my friends at Wijngaard and Reypenaer in Amsterdam. 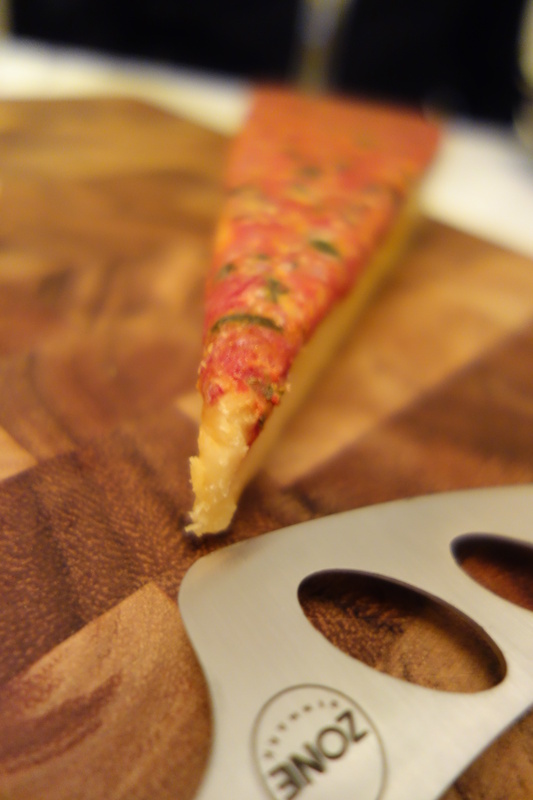 This was from their specialty cheese range, which infuses other ingredients like herbs and truffles. 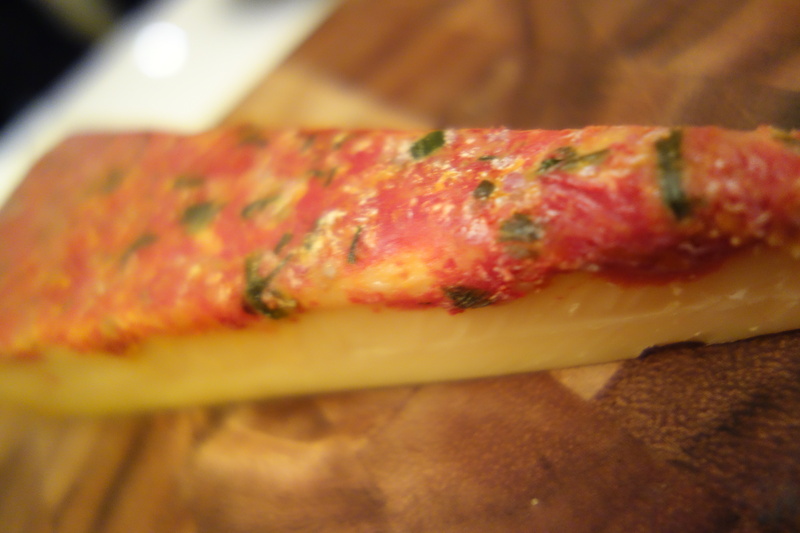 The Affiné Zontomaat Bieslook (Affiné Cheese with Sun-Dried Tomatoes and Chives). 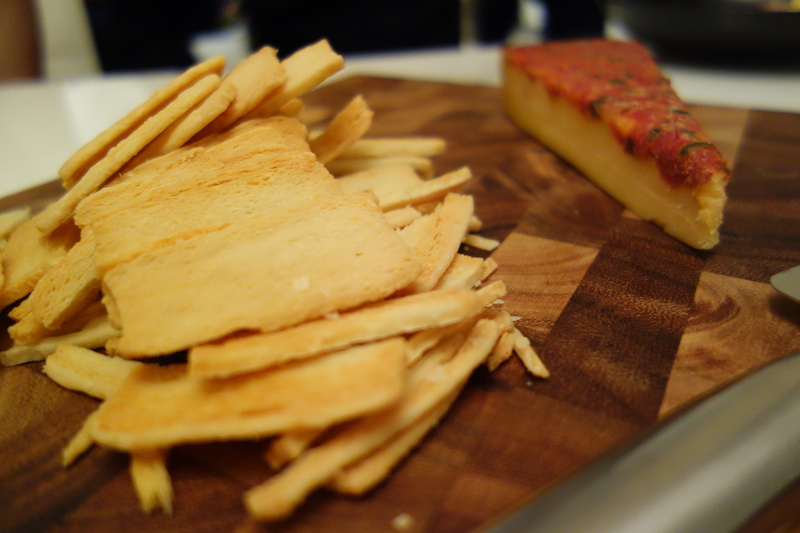 It takes the here the soft and creamy taste of the Affiné elegantly combines with the flavors of sun-dried tomatoes and chives and served with some Gouda crackers procured also in Amsterdam, they made the perfect end to a great meal.